I LOVE summer salad season and today I’m so excited to share one of my favorites!! 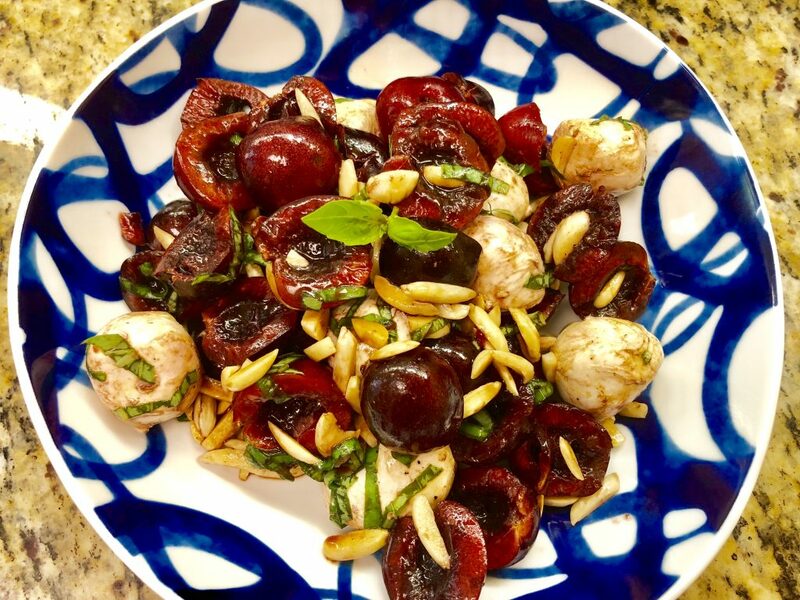 Presenting the Cherry Caprese Salad 😍 This salad combines so many of my summer favorites–Cherries ✓ Basil ✓ Mozzarella ✓ YUM. 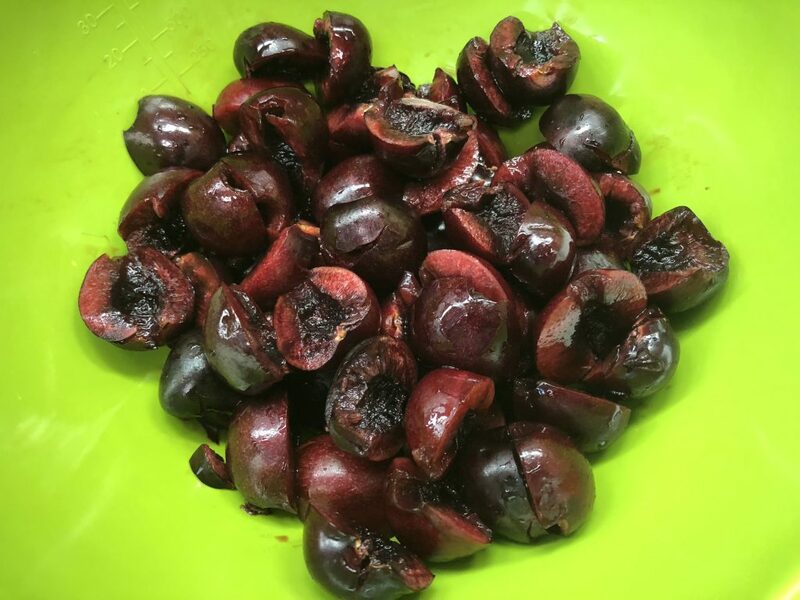 There’s a bit of labor involved in pitting the cherries, but I have a fun method for this that I’ll go through below. You’re gonna love this! 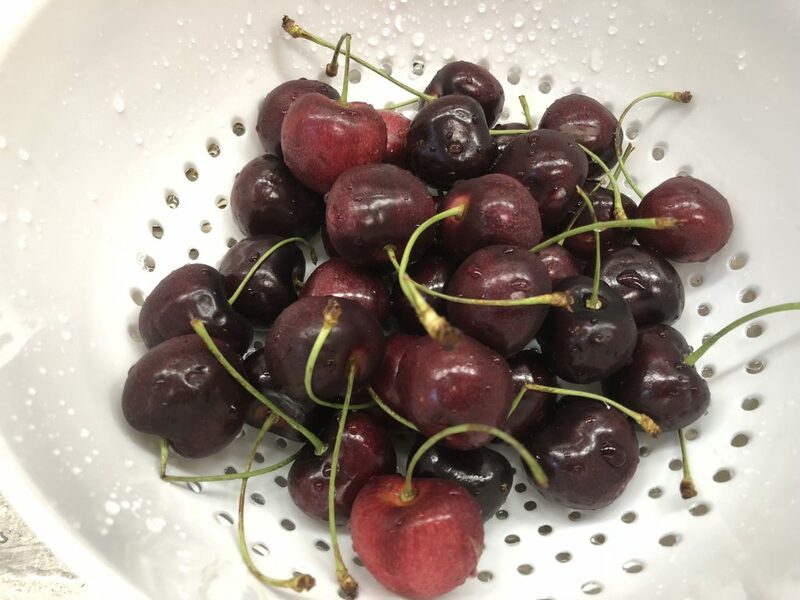 Rinse and de-stem the cherries. 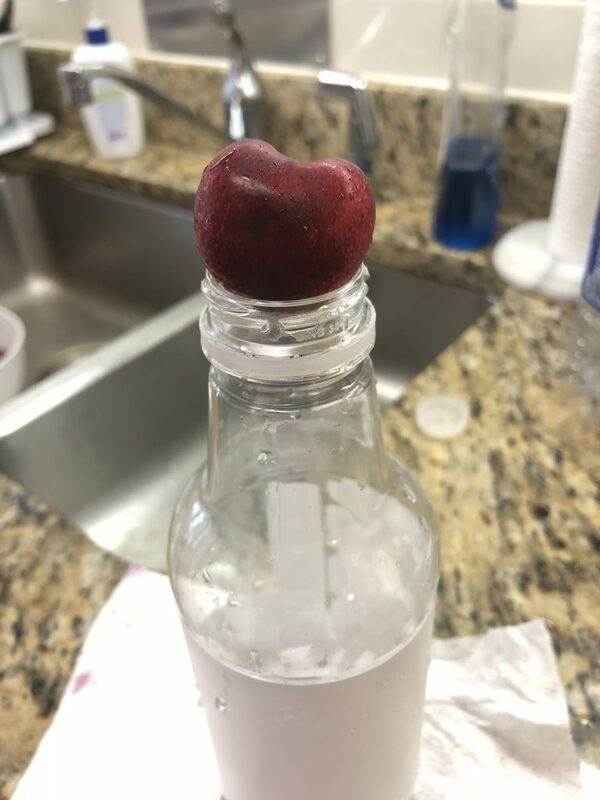 Take a cherry and put it on top of the open/empty water bottle. 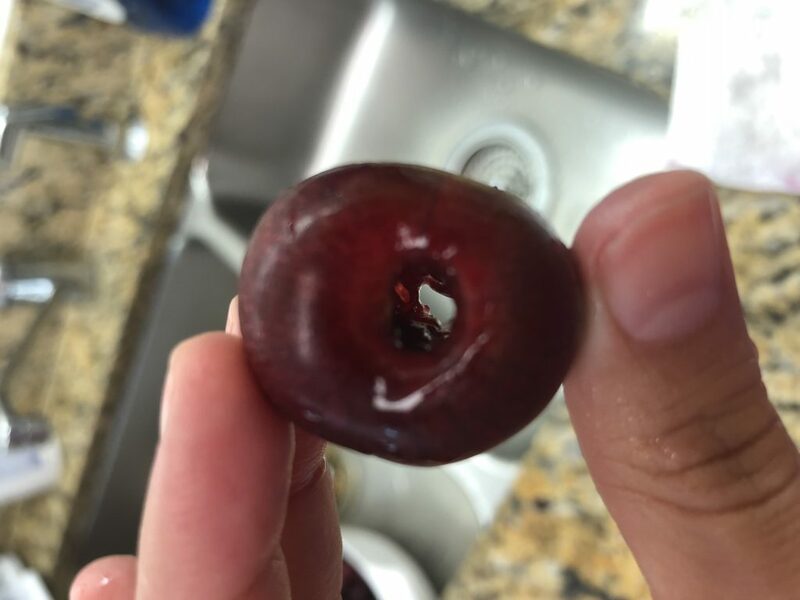 Using a sturdy straw, press firmly on top of the cherry, pushing the straw through. 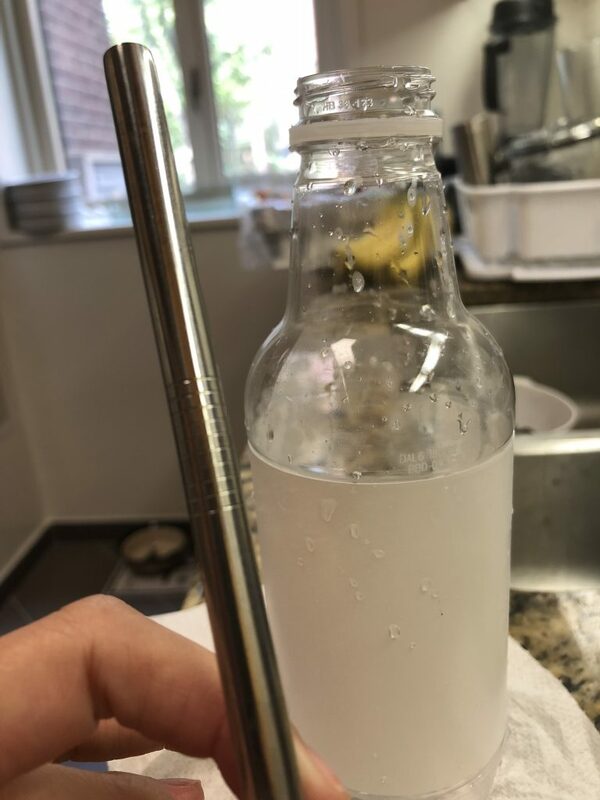 The pit comes right out and drops into the bottle. So easy! 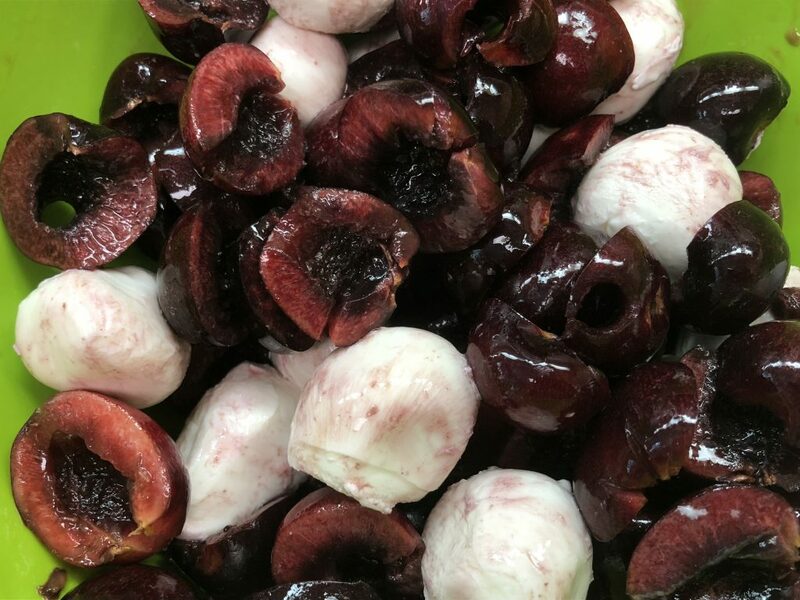 Cut the cherries in half and place into a medium mixing bowl. Rinse the basil and gently pat dry with a towel. 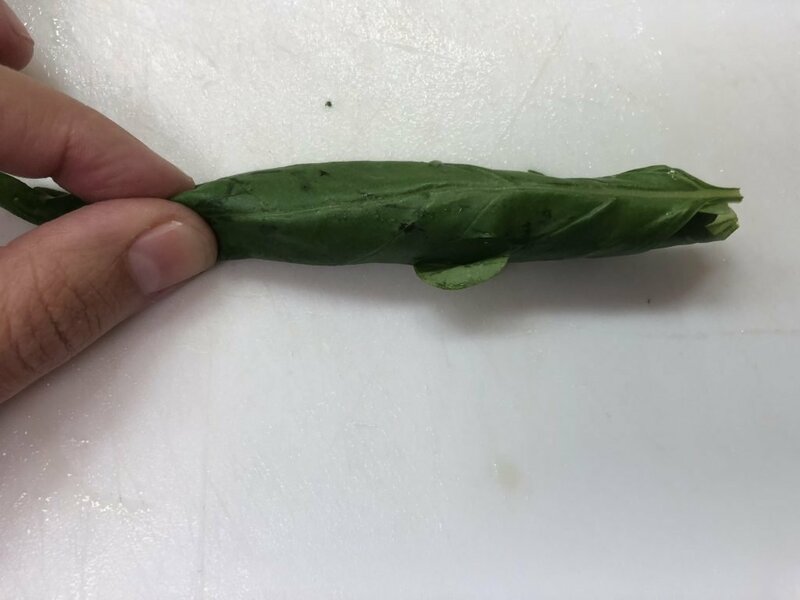 Place the leaves on top of each other and roll longwise into a cigar. 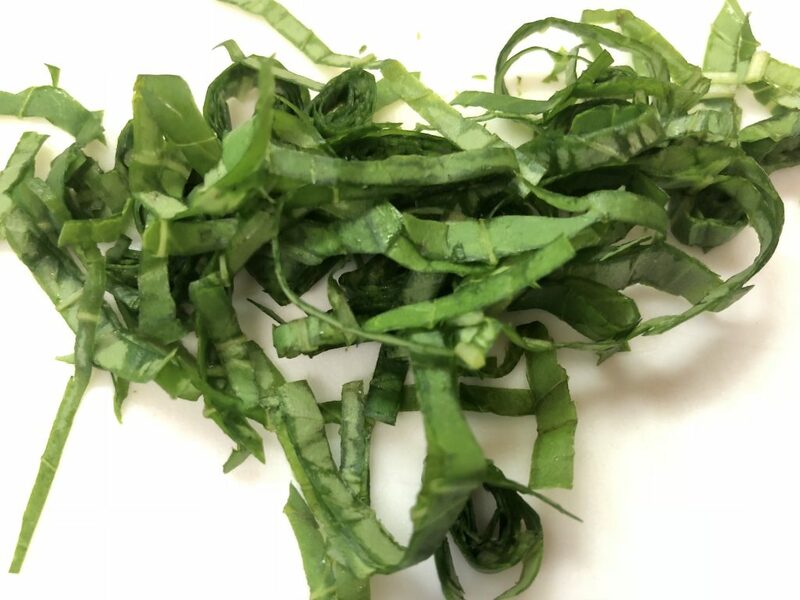 Thinly slice the short end of the basil into ribbons. Set aside. Heat a small frying pan over medium heat. Add the almonds and toast for 2 – 3 minutes, stirring constantly. The almonds will be slightly golden in color and fragrant. 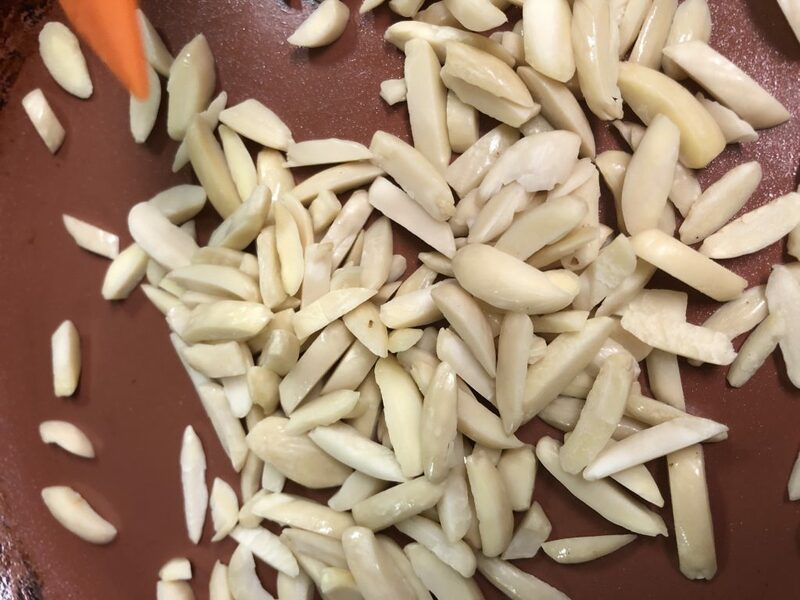 When done, immediately move the almonds into a small bowl and set aside. 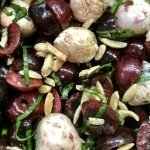 Add the mozzarella to the cherries. Drizzle the balsamic vinegar and olive oil over and add the flaky sea salt and pepper. 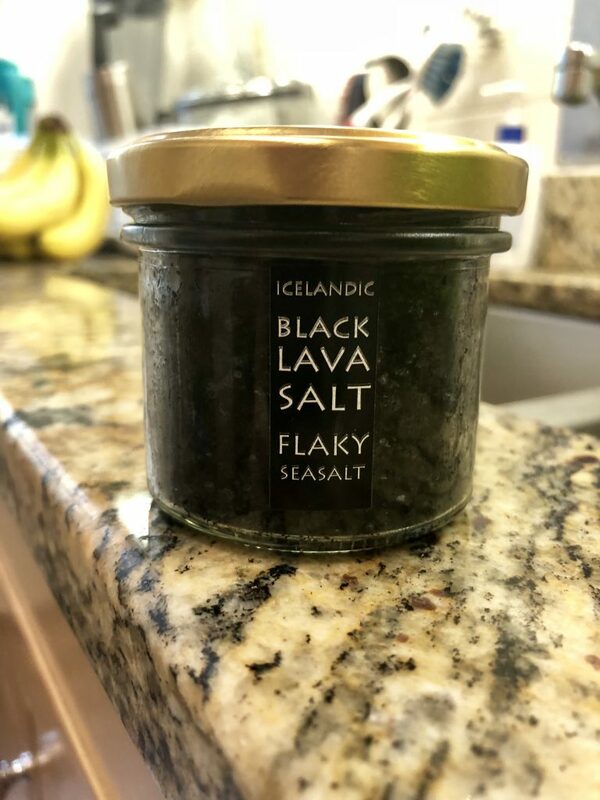 My husband brought me this awesome Icelandic Black Lava Flaky Sea Salt back from a trip, so that’s what I’m using, but any sea salt will work. Toss to combine. Add the almonds and basil and gently toss. Serve and enjoy! 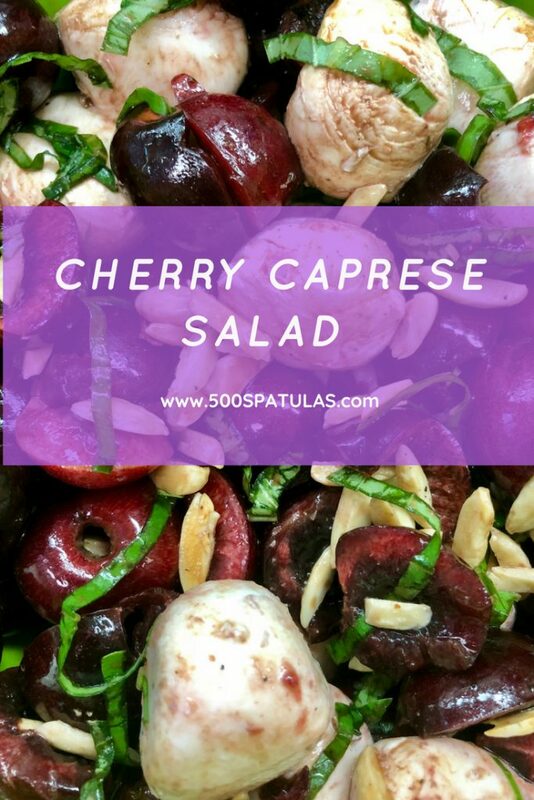 I hope you love my Cherry Caprese Salad recipe as much as I do! 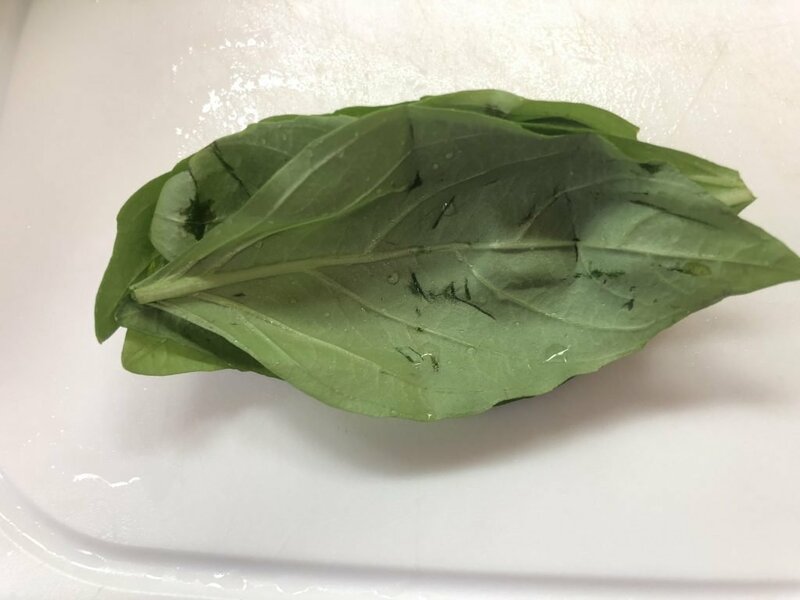 Rinse the basil and gently pat dry with a towel. Place the leaves on top of each other and roll longwise into a cigar. 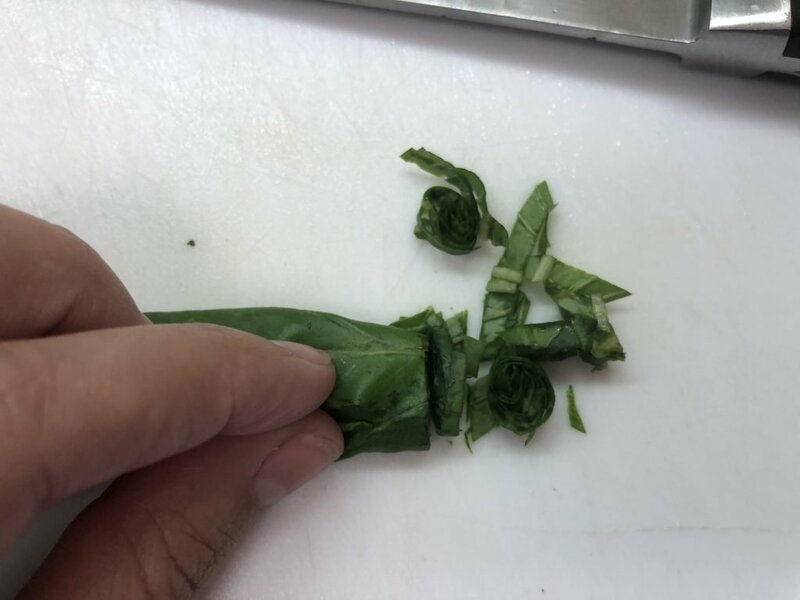 Thinly slice the short end of the basil into ribbons. Set aside. Heat a small frying pan over medium heat. Add the almonds and toast for 2 - 3 minutes, stirring constantly. 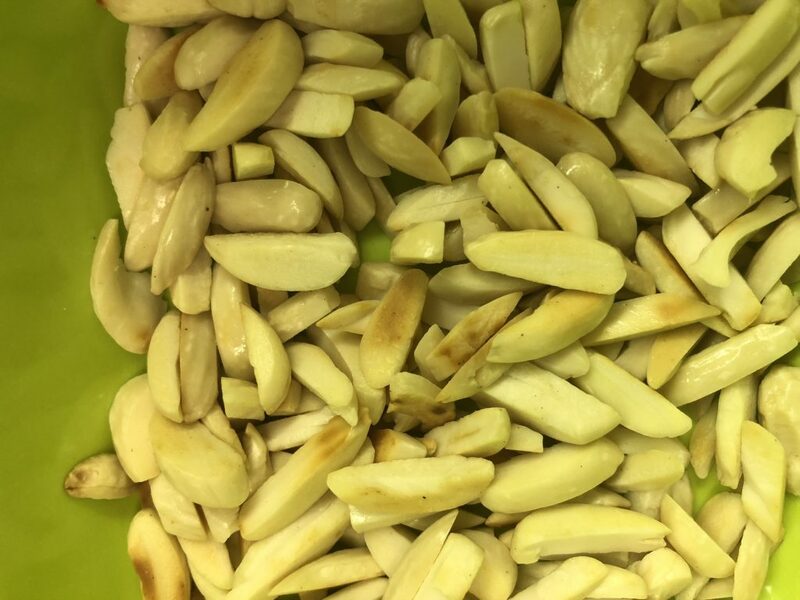 When cooked, the almonds will be slightly golden in color and fragrant. When done, immediately move the almonds into a small bowl and set aside. This will stop the cooking. 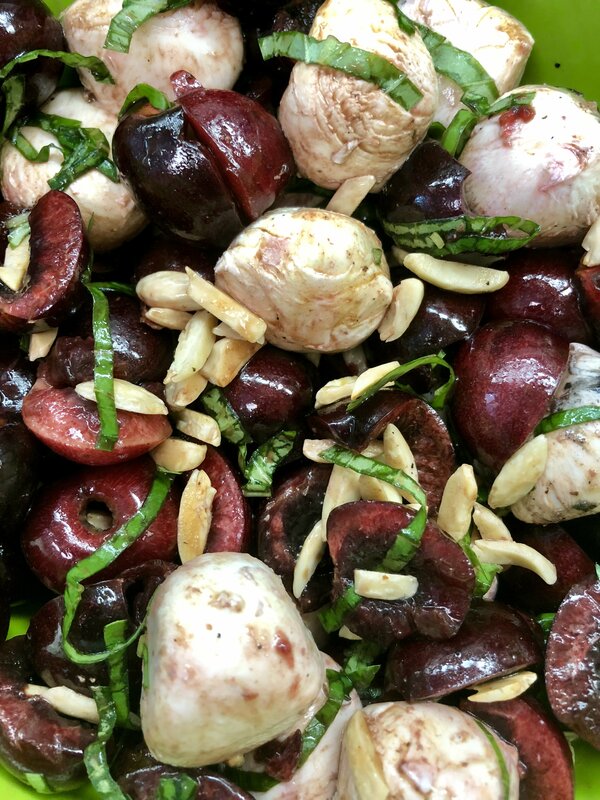 Add the mozzarella to the cherries. Drizzle the balsamic vinegar and olive oil over and add the flaky sea salt and pepper. Toss to combine. Add the almonds and basil and gently toss. Serve and enjoy!